Mark Jessop grew up in Colorado. He began fishing on camping trips to the Rockies with his dad when he was just 6 years old. He fell in love with rushing rivers, nature, and the excitement of fishing and by early adolescence, he had become a die-hard fly fisherman. Fly fishing combined two of his passions - Art and Science, into one perfect sport. 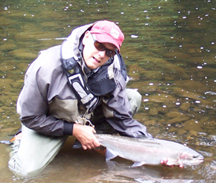 Mark's artistic expression of fly fishing began with fly-tying. With a few tips from his dad and a handful of feathers, he began teaching himself how to tie flies. He spent countless hours designing flies and then testing them on the wary trout of the South Platte River. 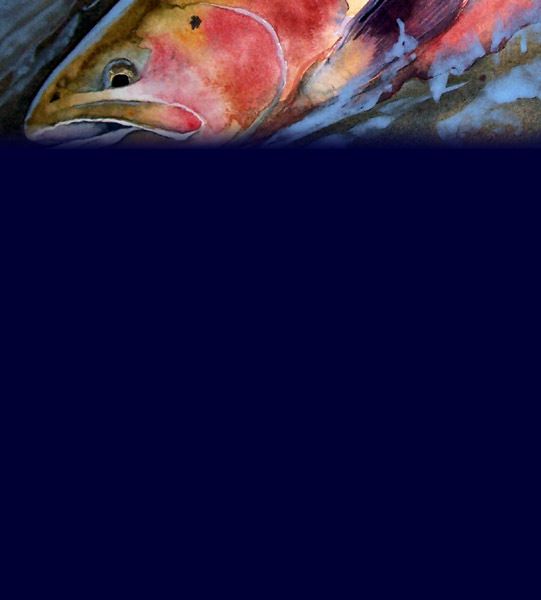 In the winter of 2004, while living on the Olympic Peninsula in Washington, he discovered watercolor as a way of expressing his love for fish and fly fishing. 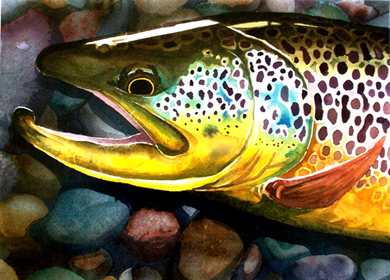 Mark combines vivid colors and a close eye for detail to showcase the natural beauty of each fish he paints. He looks to natures perfect forms, patterns and reflections for ideas. 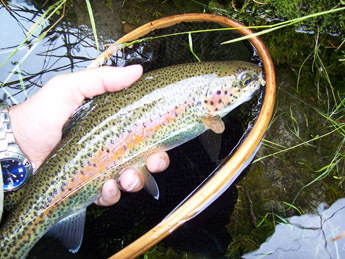 Of course, his greatest inspiration comes from a day on the river, casting to rising trout. Mark is currently working as a fisheries biologist in Denver Colorado.